Mention Jackson Hole, Wyoming, and any outdoor enthusiast’s eyes light up. There are fewer places more idyllic for a ski strip than this small mountain town at the base of the Tetons. Booking a trip to “the hole” is a once-in-a-lifetime — or annual, if you’re lucky — chance to shred some of the best runs in the country. 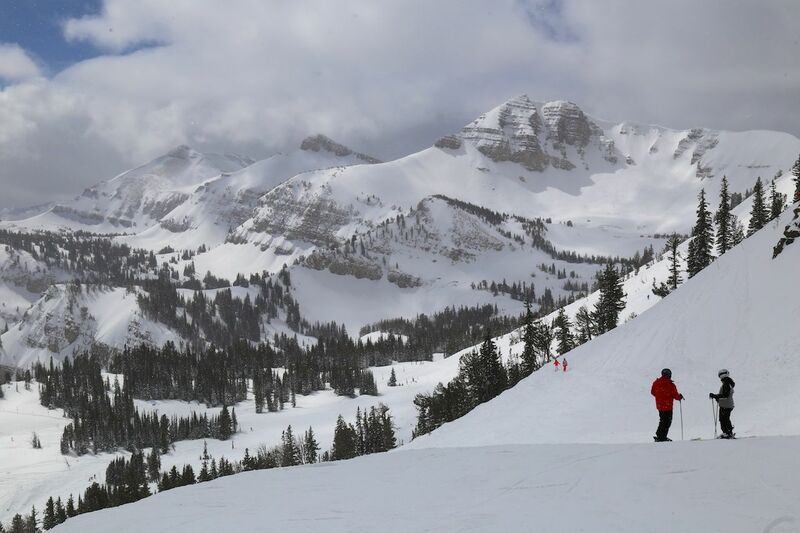 From getting there, drinking with the locals at their favorite watering holes, and eating gourmet cuisine to the skiing itself, a ski vacation in Jackson Hole is just what you need to make your winter season epic. Flying into Jackson Hole Airport is your best bet for saving time, as “the hole” really is just that — a valley squeezed between the Teton and Gros Ventre Mountain Ranges in the northwest corner of Wyoming. Around a dozen major US cities (including Denver, Chicago, San Francisco, and New York) offer nonstop flights directly into Jackson Hole, and the airport is serviced by United, Delta, American, and Private Jet Services. Jackson Hole Airport is the only commercial airport located within a national park (Grand Teton), and flying in with views of the Teton Mountains below is an experience in itself. Those looking for a road trip might choose to fly into the regional airport at Idaho Falls, about two hours west of Jackson Hole, or Salt Lake City International Airport, five hours south. You can also book a shuttle from Idaho Falls and Salt Lake City via Salt Lake City Express for about $80 round-trip or $125 round-trip, respectively. 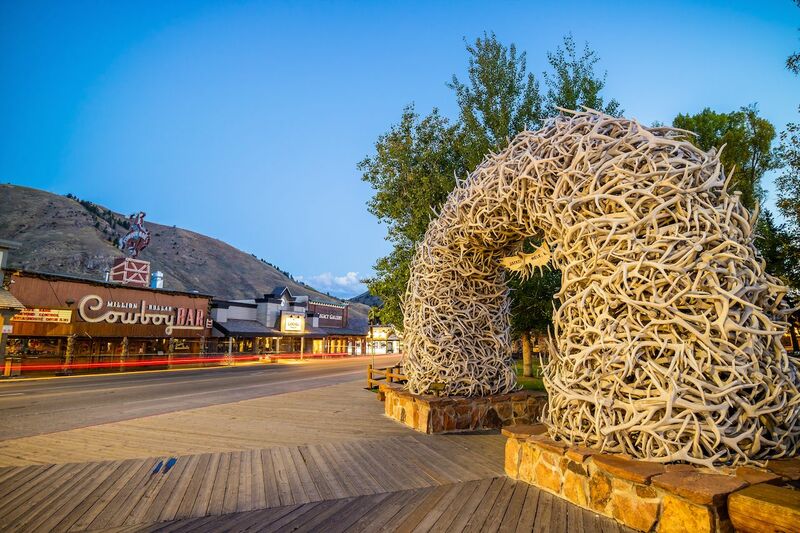 Once in Jackson Hole, you may consider renting a car to get around, and unless you plan on going over Teton pass to Idaho in a snowstorm, don’t bother with 4WD. If you’re able to secure a Subaru with AWD (All Wheel Drive), that would be a great choice for your trip. In inclement weather, the pass will close anyway, so a front-wheel-drive vehicle will suffice. Because the town of Jackson is extremely walkable, travelers can skip the rental car altogether and take the START (Southern Teton Area Rapid Transit bus) from the airport, to and from the ski hill, and around the valley. For fare information and schedules, visit www.startbus.com. 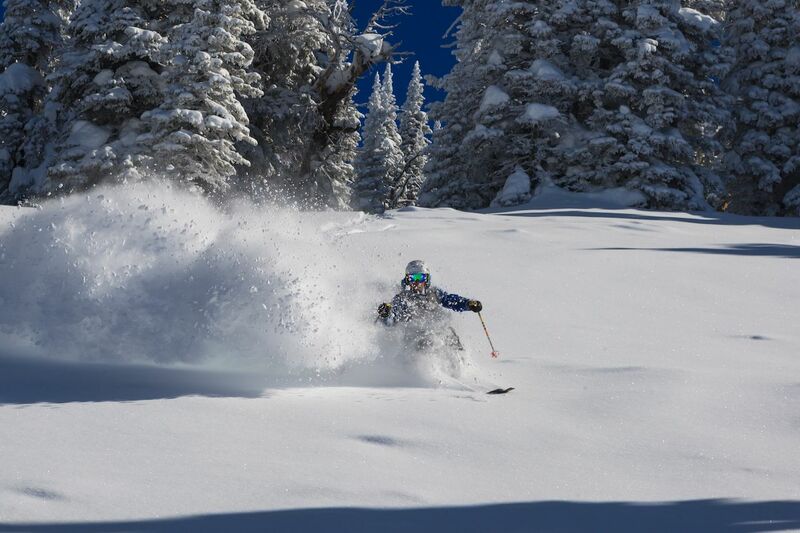 Jackson Hole Mountain Resort in Teton Village, about a 10-minute drive from downtown Jackson, is your reason for the season. Ride the Bridger Gondola from the base up to the Casper Quad Chair. Once atop, enjoy some “true blue” turns down the recently regraded runs. The newish Teton Quad Lift, opened in 2015, will give you access to some of the best and newly accessible terrain on the mountain. For wider-spaced glades, check out Moran Face or make the hike to Lumber Pine Chute or Sheridan Bowl. You can’t “do” skiing in Jackson without dropping into, or at least visiting and staring directly into, Corbet’s Couloir. Take the “Big Red” tram up to the 10,450-foot summit and stand near the left-side windows for unobstructed views of the famous spot. Once off the tram, head skier’s left of Rendezvous Bowl and ride near the cliff edge towards Corbet’s Couloir. They say even the pros get butterflies dropping the five to 15 feet in from the mouth, but the plunge is worth it — the powder after the initial jump is called “Meet Your Maker” and proves itself time and again to be the crowned jewel of runs in the skiing world. Jackson is also famous for its backcountry terrain, and there are over 3,000 acres of it. If you plan to head out the back gates, make sure you go with someone who can show you the ropes, and bring the proper gear. For a challenging and adventurous run, head out of Gate #3 after skiing down Rendezvous Bowl from the top of the tram. 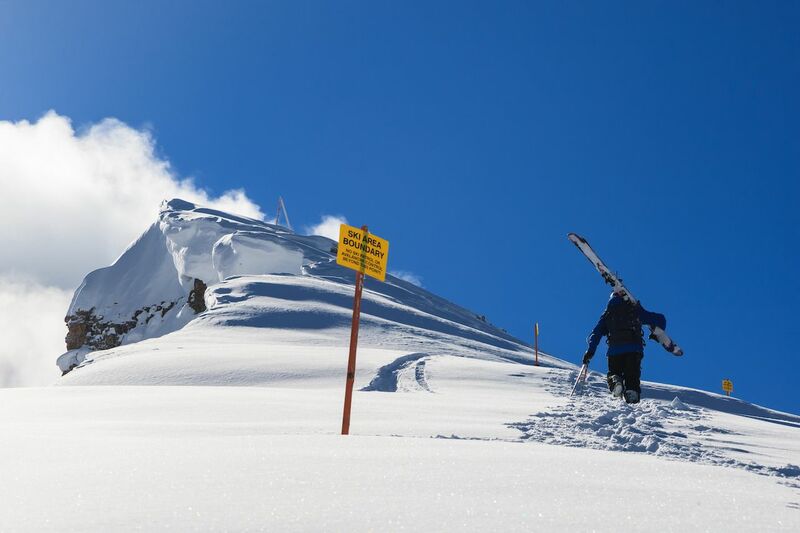 You’ll want to keep heading left to reconnect with the inbounds terrain around the middle of South Hoback. If you’re going “off the map,” allow extra time for hiking and bring a beacon, probe, and shovel. Mountain Modern Motel, a few blocks from Town Square, has rates in January averaging $125/night for double occupancy while its deluxe rooms have two queen beds with two platform bunks, sleeping six for around $190/night. The rooms are akin to mini studios with kitchenettes and ample room for ski gear. For larger groups, Cowboy Village Resort is the best affordable option. The in-town property is six blocks from Town Square, and you can experience western hospitality by staying in one of the log cabins. Your stay includes free WiFi, free breakfast, and an indoor hot tub. Conveniently, the START bus stop is also right outside. You can rent a cabin that sleeps five, with two queen bunks and a pullout sofa, for around $200/night. What to do in town. Half upscale beverage store, half tapas bar, Bin 22 is the perfect après-ski spot. Inspired by the specialty grocers and wine bars of Tuscany, Bin 22 is a taste of the Mediterranean in the middle of a ski town. You can purchase a bottle of wine on the store side and bring it over to enjoy with dinner on the restaurant side. Standout appetizers include the stuffed piquillo peppers with lamb and manchego cheese, and the duck sausage with caramelized pears. The best burger in Jackson Hole, and perhaps all of Wyoming, is at Local Restaurant in Town Square. The Chef’s Burger gets everything right, from the locally ranched Wyoming beef to the tomato jam, bacon, and cheddar cheese. Its selection of whiskeys, beers, and cocktails will keep you satisfied throughout your meal and well after. The title of the most famous watering hole in Jackson Hole goes to the Million Dollar Cowboy Bar, smack dab in the middle of Town Square. You can’t miss the bar’s kitschy Wild West rooftop sign of a cowboy riding a bucking bronco. Walk in and take in the Old West nostalgia, from saddles in place of traditional bar stools to antlers lining the walls. The name of the game here is drinking and dancing. If you’re looking for a gourmet bite, dine elsewhere — though the adventurous might order the Rocky Mountain oysters from the take-out window. If your thing is PBR tallboys, a local music act, and a slice of really delicious pizza, look no further than Pinky G’s just off Town Square. It hosts an open-mic night on Mondays and live music throughout the week. The Pink Garter Theater & The Rose upstairs also attracts musical talent from all over the world. Deals on lift tickets happen in October before ski season starts, or in January after the mad rush of skiers around the Christmas/New Year holidays have packed their bags and left town. You’ll also want to consider holding off on your trip during Martin Luther King Jr. weekend as prices are higher and the crowds are thicker. You can find discounted room rates and lift tickets by booking directly with the resort. 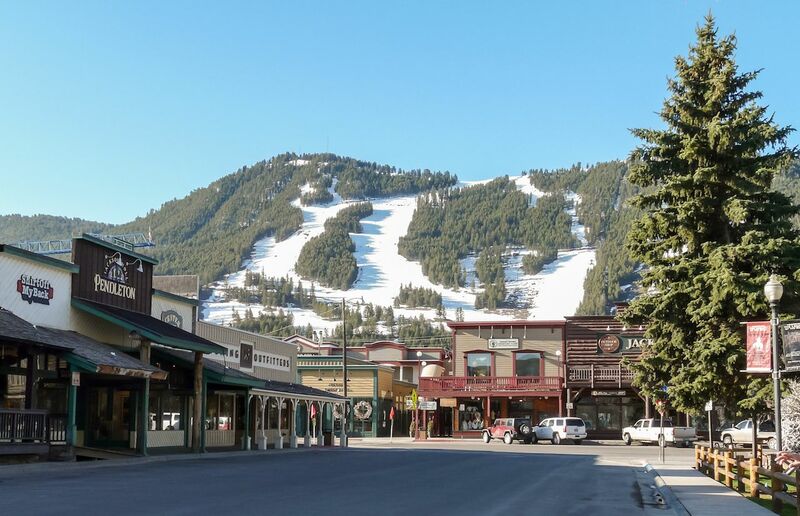 Snow King Mountain Resort, located right in town, is Jackson Hole’s original ski hill with 32 named runs, and it offers considerably lower lift rates than nearby Jackson Hole Mountain Resort. A single day pass during non-holiday periods is $59, compared to Jackson Hole’s $136. Mid-to-late January through before spring break in March will give you access to non-crowded slopes and fresh powder straight through early spring. That being said, Wyoming’s been known to get heavy snow in early December before the holidays. If you can swing a trip around mid-December, you might have the season’s first go down the best runs.